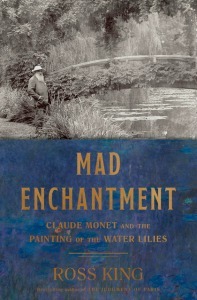 By Dale Johnson Posted: March 7, 2017 11:30 a.m.
Ross King, who earned English degrees at the University of Regina, is the winner of this year’s RBC Taylor Prize for his book Mad Enchantment: Claude Monet and the Painting of the Water Lilies. The prize was announced at a gala luncheon at the Omni King Edward Hotel in downtown Toronto by Noreen Taylor, founder of the prize and chair of the Charles Taylor Foundation. “To be recognised by three distinguished jurors, and out of a short list of such great writers, is a real honour,” King says. The RBC Taylor Prize is given to a Canadian author whose book best demonstrates a superb command of the English language, an elegance of style, and a subtlety of thought and perception. The prize includes a cheque for $25,000. This was the fourth time King has been nominated for the prize – but the first time he has won. “The Taylor Prize is special to me because of those previous nominations. I've come to know Noreen Taylor very well, and I appreciate everything that she does for literature and the arts in Canada. I’m also honoured because Charles Taylor was such a great writer,” he says. After attending school in North Portal, Bienfait and Estevan, King completed a Bachelor of Arts in English at the U of R in 1983. “I took many English classes – from people like Ray Mise, Ken Probert, Nick Ruddick, John Chamberlain, Chris Murray and Bill Howard. They taught me not just how to write but how to research, think and analyse,” he recalls. King then earned his Master of Arts in English at the U of R in 1986. 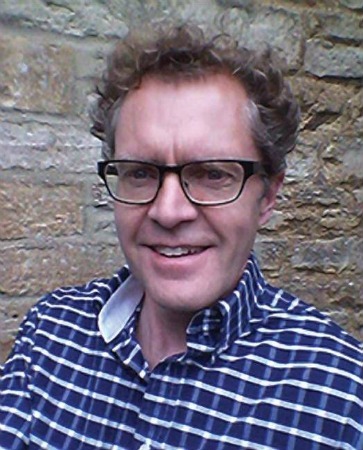 He completed his PhD in 1992 at York University in Toronto and moved to England to take on a research fellowship at London's University College. King's first novel, Domino, was published in the United Kingdom in 1995. Since then, he has written ten other books. In 2006, King won the Governor General's Literary Award for Non-Fiction for The Judgment of Paris: the Revolutionary Decade That Gave the World Impressionism. He was a U of R honorary degree recipient in 2012. “No one writes books to win prizes, but prizes are sources of encouragement for the dark days,” he says. King says winning the Taylor Prize will help him with his future writing projects.